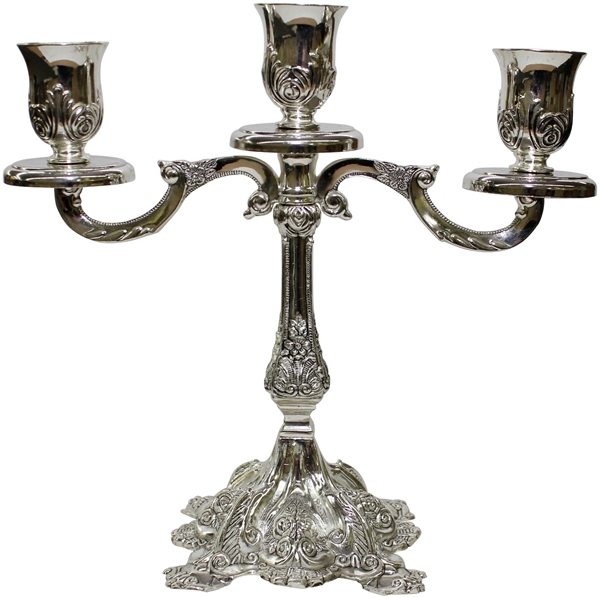 This beautiful three branched candelabra will surely add beauty to your Shabbat table. Designed with a traditional décor of flowers that embellish the base, stick and cups this candelabra has branches that are artfully twisted creating a beautiful masterpiece. The candelabra is silver plated and can be used with standard sized candles or glass holders.